As we drew near to Aquileja several relics of antiquity met our eyes: Roman amphorae appeared as decorations of garden walls, or as finials to crown the gables of a farm-house; broken shafts of granite lay by the roadside, and at Monastero there were two columns actually standing upright. But when we finally found ourselves in the modest piazza of modern Aquileja, there was little to help us to believe that we were in the centre of the site of one of the proudest Roman cities. Sir Thomas Graham Jackson (1835-1924) was one of the leading architects of his time. He visited Aquileia in 1885 and he wrote a very detailed account of its Patriarchal Basilica. Aquileja has an evil reputation for agues and tertian fevers. Most of the people suffer from ague in the winter, and many of them shew it plainly enough in their faces. Good food, plenty of warm clothing, and of course avoidance of evening air and sudden chills are the best safeguards, and better drainage of the low-lying country round about has already done something towards lessening the unwholesomeness of the place. But travellers who pass the night at Aquileja will be wise to take the same precautions that were recommended to us. When Jackson visited Aquileia scientists were beginning to understand the root causes of the fevers which were attributed to malaria (bad air). As Jackson noted effective drainage had already contributed to improve the healthiness of the territory around Aquileia. 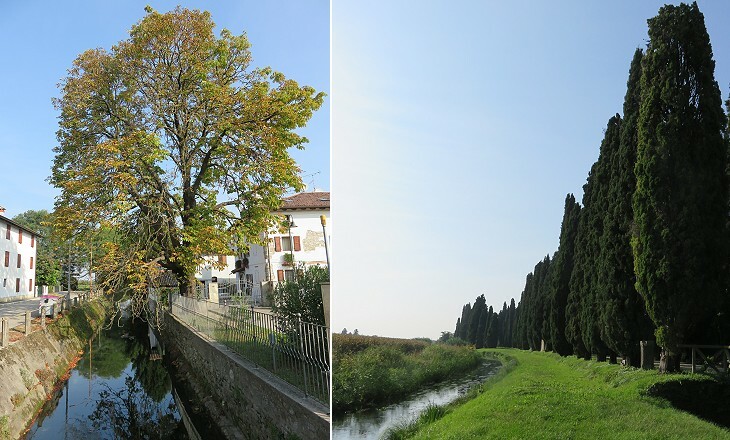 It is hard to believe that ships could sail across the small stream which runs to the east of Aquileia, but in the past its size was much larger (at Cividale, near its source, the Natisone is not as small as at Aquileia). One of its names was Akilis, hence that of the town. The main reason behind this change has been identified in a period of torrential rain in 585. It caused major landslides which deprived the river of many of its tributaries. The Natisone dispersed its water creating swamps instead of reaching the sea through a direct route as it did previously. Jackson did not see the ancient town, but he walked on it because its ruins were just three or four feet under his shoes. 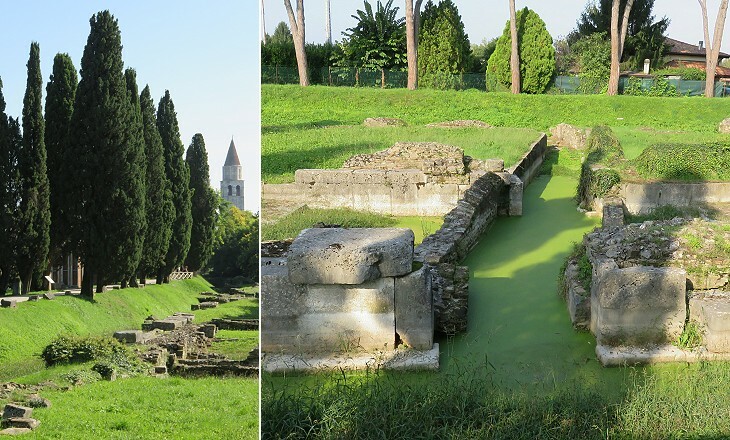 Unlike some areas of Rome and other ancient towns crossed by a river, floods did not cover the fallen monuments of Aquileia with a thick layer of earth and archaeologists did not need to make deep excavations to find the pavement of the Forum, a large rectangular square. 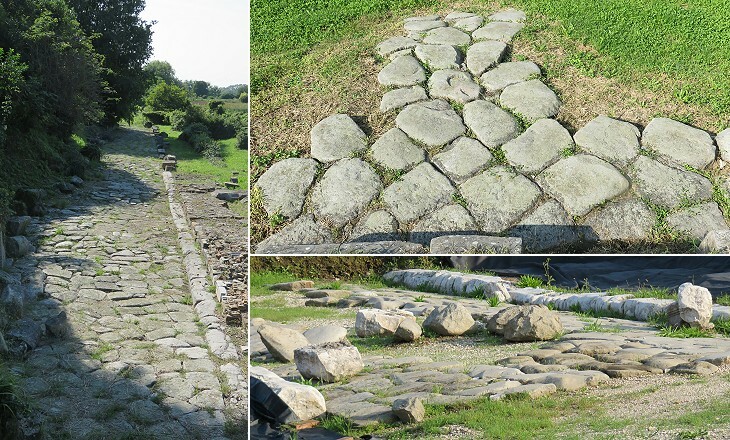 The Forum was crossed by cardo maximus, the main north-south street of the town ending with a gate from which a road went north to Forum Iuli (Cividale) and Noricum (today's Austria). Archaeologists have named it Iulia Augusta. Other important roads starting from/ending at Aquileia were Via Annia and Via Postumia which had a westward direction and reached Padua/Ravenna and Verona/Genoa and Via Gemina which went east to Tergeste, Istria and today's Slovenia. Archaeologists have found remains from different periods. 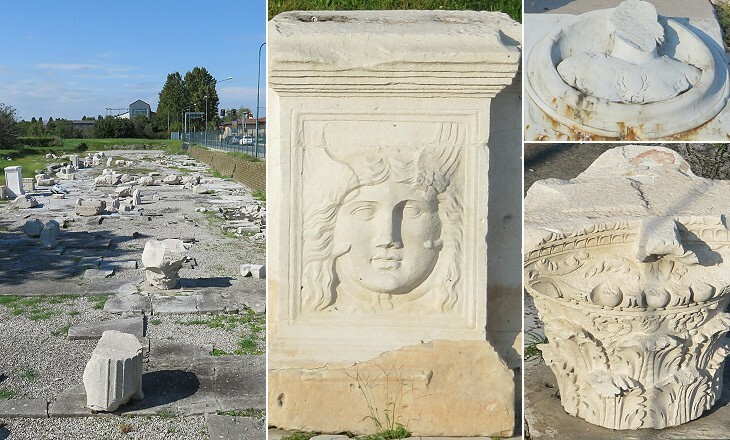 Those which have been used for partially reconstructing the Forum and showing its decorations are mainly of the late IInd century AD, a period of wealth during which Roman towns were greatly embellished. Of particular interest is a number of plinths decorated with faces of Medusa and Jupiter Ammon, a deity with mixed Greek and Egyptian features. 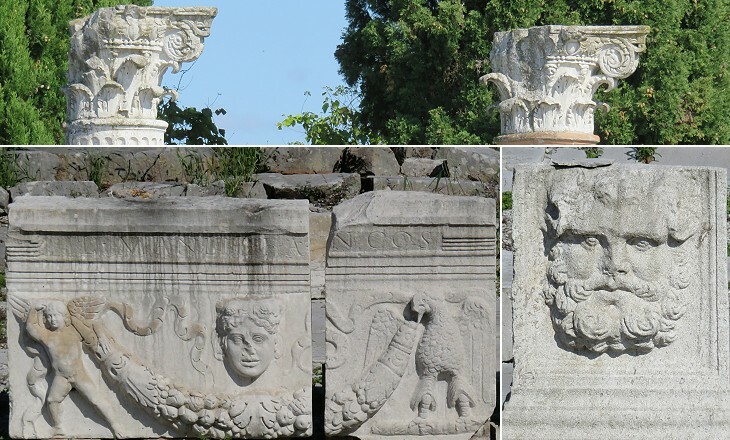 Portraits of Medusa, the Gorgon killed by Perseus, can be seen in the decoration of other Roman towns and in particular at Leptis Magna. 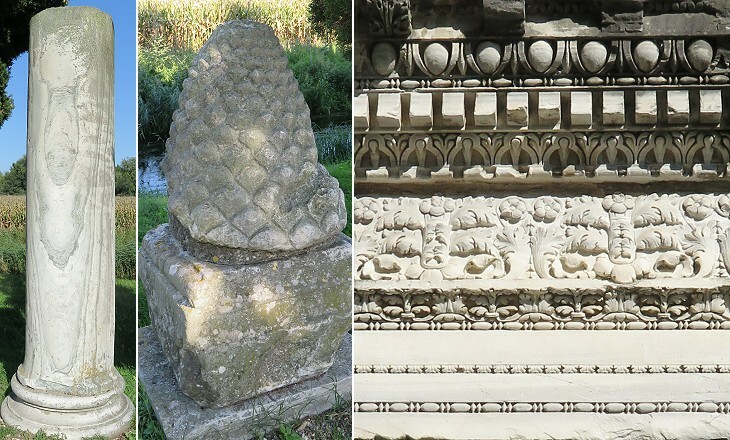 The image used as background for this page shows another of these plinths. 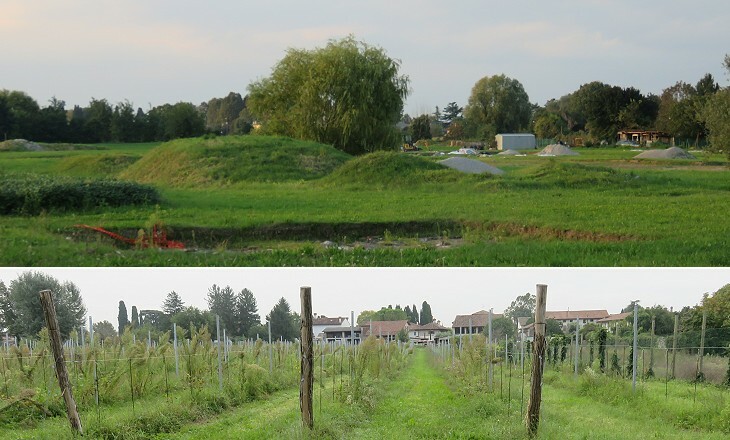 Notwithstanding the extensive excavations which have been carried out since Jackson visited Aquileia, overall one shares his feeling that the ancient town has vanished. Because it is clear that the level of the ground in the past was very close to the current one it is very unlikely that large standing buildings will be unearthed in the future. Already archaeologists have identified the sites of an amphitheatre, a theatre and a circus, but the imposing walls which must have supported the seats for audience have gone. Ancient materials (stones, bricks, marbles) were used to build the Basilica. It is a large complex with an imposing bell tower, but it cannot have required the demolition of all the ancient city, even considering the destruction caused by the fire set by Attila, leader of the Huns, in 452. The excavations however have yielded a large number of floor mosaics and tombs which are shown in a separate page. The harbour was built at the time of Emperor Claudius and it was similar to that of Rome on the Tiber. It had warehouses, but unlike those of Rome, they seem to have disappeared. Its use was discontinued towards the end of the IVth century and defensive walls were built on it. 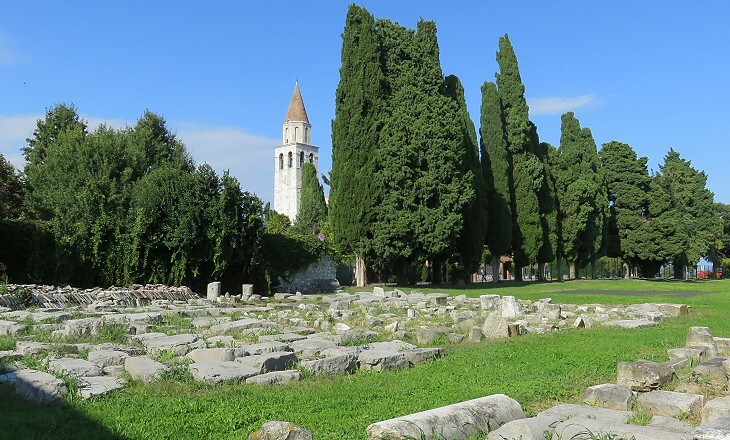 It was replaced by a small harbour at Grado, an islet on the Adriatic Sea where ships unloaded their goods which then reached Aquileia via small boats. The walls of the harbour were built making use of all available materials, including some small monuments. The inscription on one of them has been valuable to understand some of the events which occurred in 238 AD, the "Year of the Six Emperors". In 235 Alexander Severus was killed when visiting a legion on the River Rhine border. Soldiers were unhappy with his policy of appeasement which did not give them opportunities of gain and they acclaimed Maximinus Thrax, their commander, as the new emperor. Initially the Roman Senate gave its endorsement to the new emperor who began a series of military campaigns along the Rhine and Danube borders. In March 238 a revolt erupted in Africa and Gordian, the local proconsul, was acclaimed emperor with the backing of the Roman Senate. Maximinus marched towards Rome to punish the senators who supported Gordian, but his army was blocked at Aquileia. He laid siege to the city. In the meantime Gordian and his son Gordian II were killed by troops loyal to Maximinus, but the Senate appointed Pupienus and Balbinus, two of its members, as new emperors. 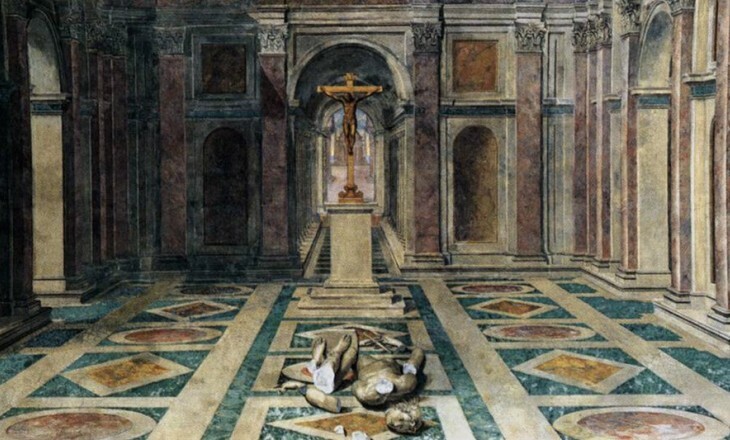 The siege of Aquileia dragged on inconclusively and the soldiers of Maximinus eventually killed him and declared their loyalty to the new emperors. 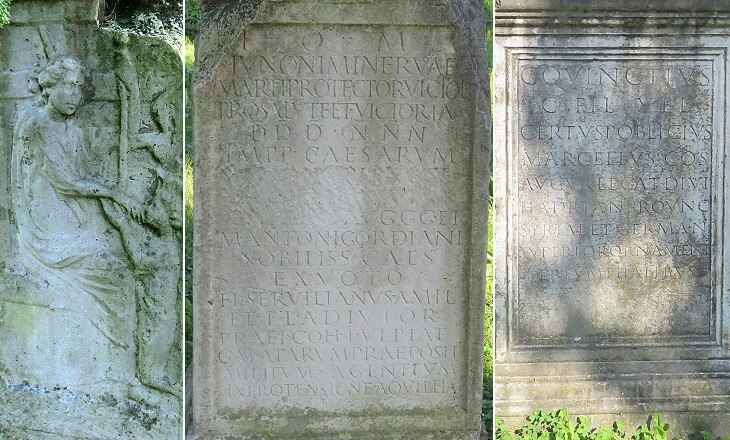 The end of the siege was celebrated at Aquileia by erecting a small monument, however the names of Pupienus and Balbinus were erased very soon thereafter because they were killed by the Praetorian guards after having ruled for only three months. The inscription retains the name of Gordian III (then aged 13), grandson of the first Gordian, whom Pupienus and Balbinus had appointed Caesar (vice-emperor). He became emperor and he ruled until 243 when he lost his life fighting against Sassanid King Shapur. This period of Roman history is rightly known as that of the Military Anarchy. 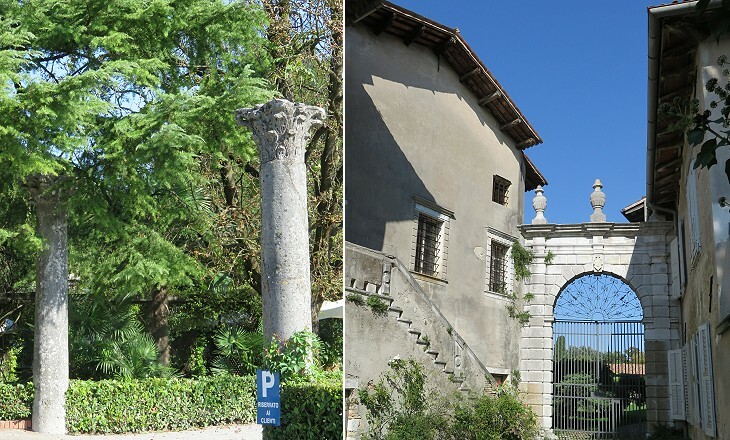 Jackson described Aquileia as a village green with half-a-dozen houses around it, but the extensive works carried out to reclaim the swamps have increased the number of its inhabitants. Today houses and farming facilities coexist with a dozen small archaeological areas. That along the harbour is the largest and most evocative one thanks to the many remains which are placed along a nice cypress-shaded walk. 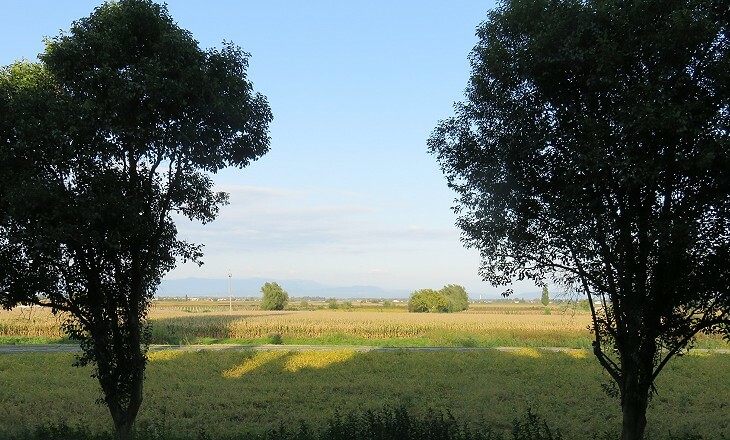 Ancient Aquileia had a rectangular shape with its eastern and southern side marked by the river. Its south-north axis was much longer than the east-west one, so that the decumani, the streets having this orientation were rather short. 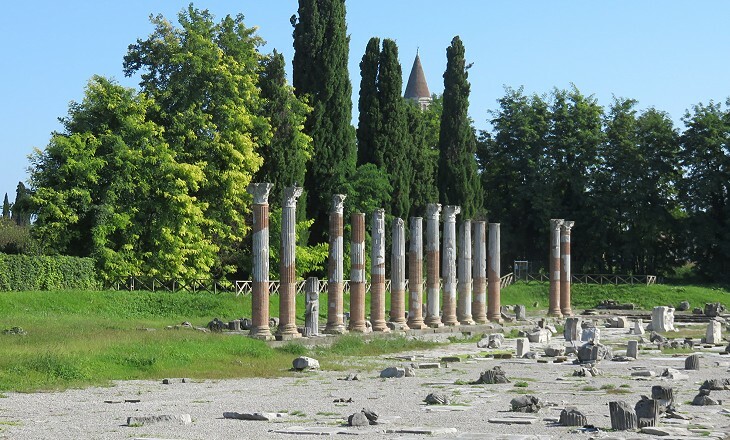 The current town and the majority of the archaeological areas are located in the southern half of ancient Aquileia. Farmers continue to discover sections of ancient streets which are then investigated by archaeologists to find out whether they were flanked by interesting buildings. Maybe in another country the broken columns and lintels of a marketplace south of the Basilica would have been reassembled to show how the building looked when first built. As a matter of fact the decoration of the columns and lintels and the stone they are made of are not of particular interest. Excavations at Aquileia yielded a relatively small number of statues, an indication that the city turned Christian at a relatively early stage. The Fathers of the Church accused the followers of other beliefs of being idol worshippers because of the statues they had in their temples. The association statue=idol led to regarding all statues as idols, irrespective of their actual subject/purpose. 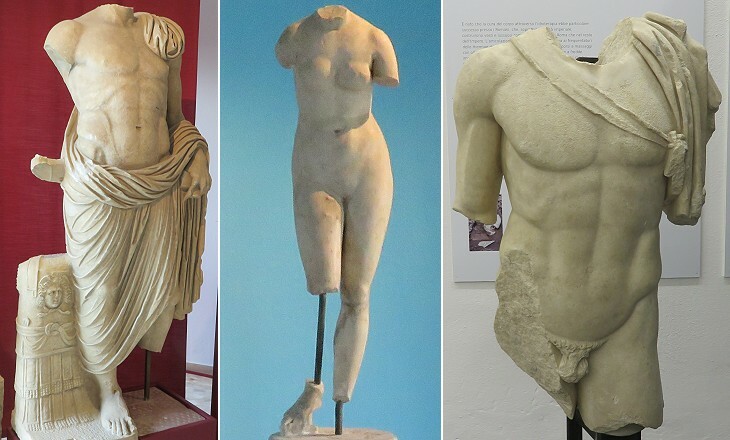 Statues representing human beings were the great victims of the transition to the Early Middle Ages, because while very soon images were admitted to churches, statues were banished from them for many centuries.